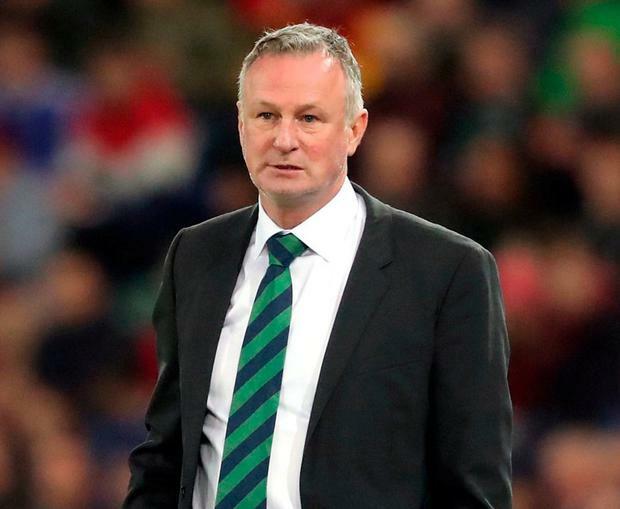 Michael O'Neill was not getting carried away after his Northern Ireland side beat Estonia 2-0 at Windsor Park to end their long wait for a competitive victory. They will now hope to make it six points from six when they face Belarus on Sunday, but O'Neill was clear from the outset that was the minimum requirement if they are to make headway in this campaign. "It's a good win for us," he said. "We know the significance of getting off to a good start. It gives us everything going into the second game. Belarus is a game we look forward to off the back of a good three points. "We set ourselves a target of six points from the first two games and we've given ourselves the opportunity to do that." This was Northern Ireland's first competitive win since they beat the Czech Republic 2-0 in September 2017, but there were no rowdy celebrations after they saw off a team ranked 60 places below them. "They're delighted to win the game but I think they know there's areas we can improve on," O'Neill said of his players. "We're not celebrating or ecstatic in there. This was a game we expected to win." In a repeat of their ill-fated Nations League campaign of last year, they dominated possession but carved out only a handful of chances - the best of them spurned by Paddy McNair who inexplicably headed over from point-blank range. It was McGinn, a lively presence down the right throughout, who broke the deadlock with a powerful strike from Kyle Lafferty's lay-off, the 31-year-old's first Windsor Park goal. "He's in a good little vein of form," O'Neill said. "He scored on his last two games for Aberdeen and that was in my mind when I decided to start him. "He is one of those players who when he's in that confident vein of form it's the right time to use him. "It was a big goal for him. When you look at Niall's goals at international level they've all been important goals, tonight was another one of those." "That wasn't our biggest problem. I think the problem was when we won the ball we could not find good passes."